Grammys throwback: Do you remember these red carpet style moments from 1999? The 2019 Grammy Awards are Sunday night, and while we're excited to see the new crop of winners, we also can't help but reminisce about red carpet moments from the past. Add Grammys as an interest to stay up to date on the latest Grammys news, video, and analysis from ABC News. Twenty years ago, 1999 to be exact, everything from bucket hats to girl groups in matching looks were the thing. At the 41st Grammy Awards in 1999, musical artists like Jennifer Lopez, Celine Dion and Shania Twain showed up in everything from stick-straight hair to bright pastel eyeshadow to a sequin turtleneck dress. Funny enough, many of these trends might resurface for this year's affair. Take a nostalgic scroll down memory lane and look at 10 style moments from the Grammy Awards red carpet twenty years ago. Celine Dion, Lauryn Hill, and more shined bright with purple eyeshadow on the red carpet. 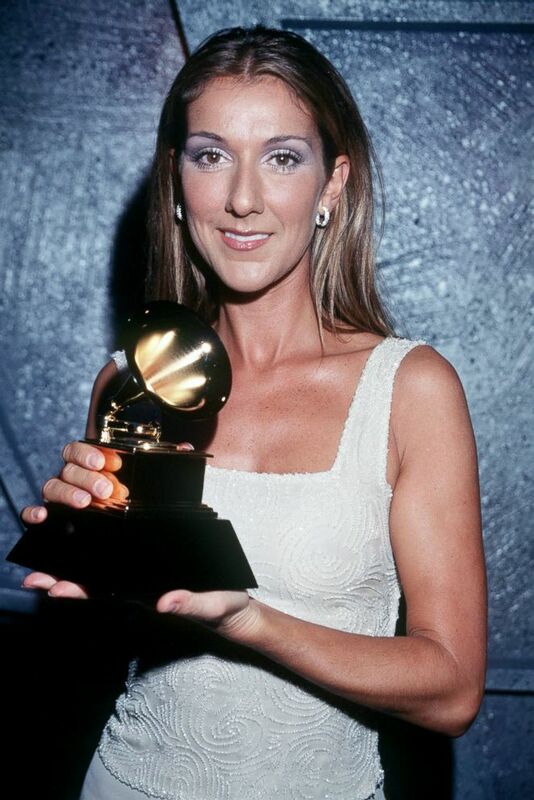 Celine Dion attends the 41st annual Grammy awards, Feb. 24, 1999, in Los Angeles. 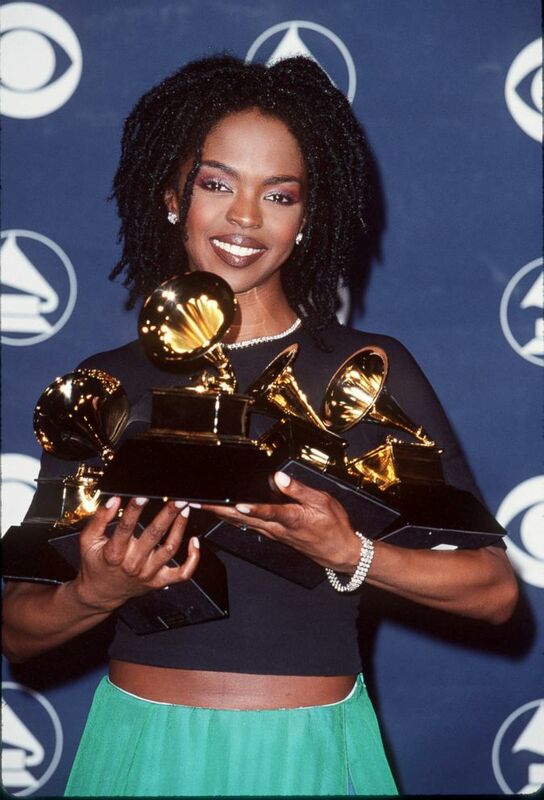 Lauryn Hill during the 41st annual Grammy awards, Feb. 24, 1999, in Los Angeles. Girl and guy groups like The Dixie Chicks and The Backstreet Boys as well as other dynamic duos like Brandy and Monica wore coordinating looks that demanded attention. 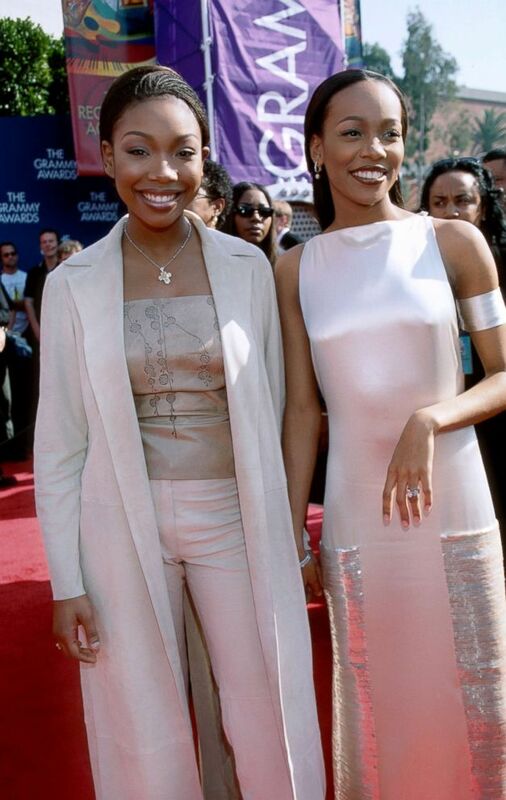 Brandy, left, and Monica attend the 41st annual Grammy awards, Feb. 24, 1999, in Los Angeles. The Dixie Chicks attend the 41st annual Grammy awards, Feb. 24, 1999, in Los Angeles. The Backstreet Boys attend the 41st annual Grammy awards, Feb. 24, 1999, in Los Angeles. Madonna and Jennifer Lopez sported stick-straight hair. 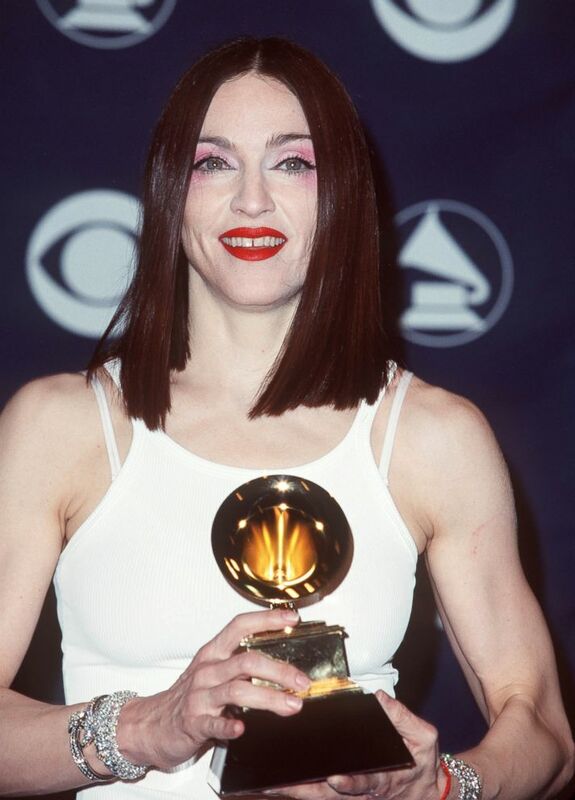 Madonna attends the 41st annual Grammy awards, Feb. 24, 1999, in Los Angeles. Jennifer Lopez attends the 41st annual Grammy awards, Feb. 24, 1999, in Los Angeles. Silky ensembles and cut-outs commanded attention. Jada Pinkett wore it well. Jada Pinkett Smith attends the 41st annual Grammy awards, Feb. 24, 1999, in Los Angeles. Raise your hand if you remember just how good Erykah Badu's headwraps were?! 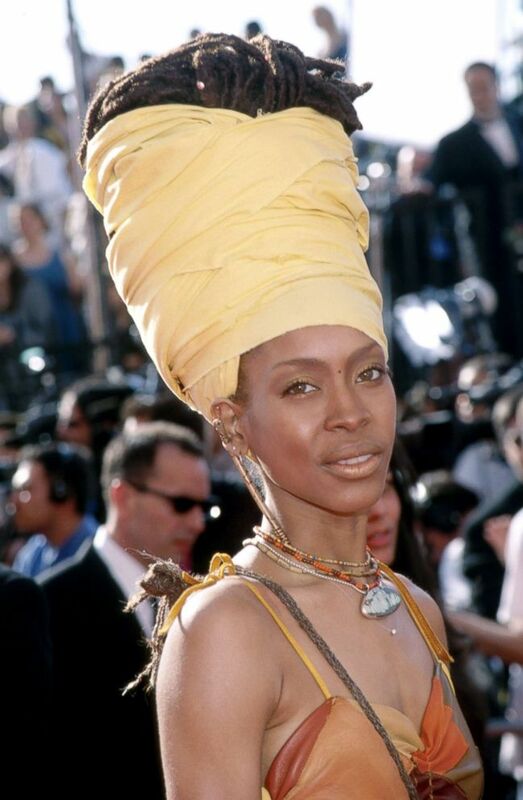 Erykah Badu attends the 41st annual Grammy awards, Feb. 24, 1999, in Los Angeles. Whitney Houston turned heads in this red number with just the right glossy lipstick to match. 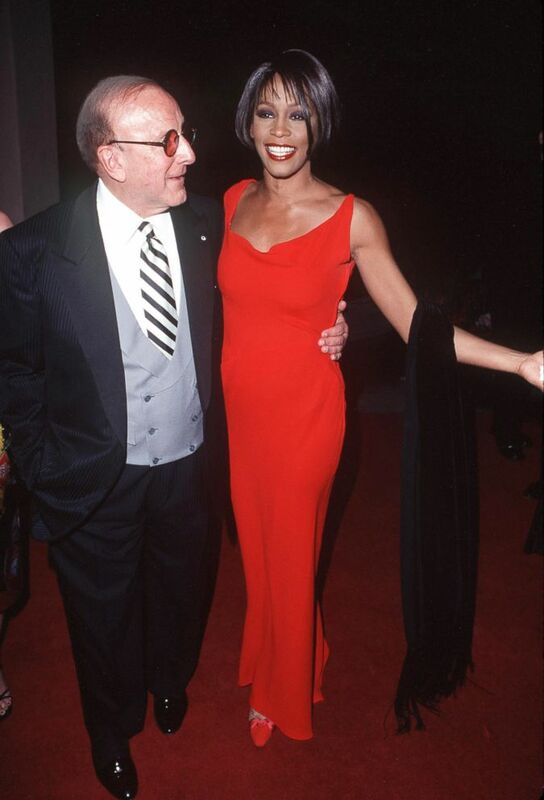 Clive Davis and Whitney Houston attend the 41st annual Grammy awards, Feb. 24, 1999, in Los Angeles. Shania Twain looks like a red carpet fashionista in her sequined turtleneck dress. Shania Twain attends the 41st annual Grammy awards, Feb. 24, 1999, in Los Angeles. +Do you remember these iconic fashion moments from 1999?